As Earth Day quickly approaches; this is the perfect time for businesses to join the over 1 billion people in a 192 countries who use April 22 to raise awareness about environmental issues and take action in their communities. However, making lasting changes require continuous efforts, all yearlong. Businesses, large and small, all have the capability to implement environmentally conscious solutions to their everyday operations. There is always room for improvement, whether it is in their office, updates to products, changes to services or altering operations. 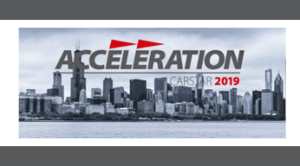 CARSTAR, North America’s leading provider of premier collision repairs, is marking its 30th year of business in 2019 with monthly celebrations dedicated to giving back to the many communities, franchise partners and industry partners it serves. For its April celebration, CARSTAR is planting mature trees in Hamilton, Ontario to increase their likelihood of survival and planting trees in Charlotte, North Carolina along the Little Sugar Creek to help reduce flooding and keep the stream cool. 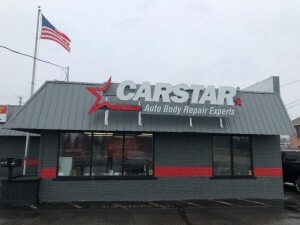 Throughout the year, CARSTAR locations in both Canada and the U.S. do what they can to help minimize their environmental footprint. A few of CARSTAR’s conservations efforts include using recycled parts when the repair process allows, hosting community clean-up days, embracing technology to eliminate paper usage, recycling materials like tires or paint thinners, using energy efficient equipment like specialized spray guns and even installing new LED lighting to reduce energy consumption, among others. Overhead efficiency: small changes to your office can make a big difference in your footprint. Installing energy efficient lightbulbs, automatic sensors for lighting or mandating power downs to computers for when employees leave can minimize overall greenhouse gas emissions. Recycling: recycle all plastics, papers and cardboards when you can, to reduce pollution caused by waste. In addition, implementing compost bins in your office to reduce methane emissions that come specifically from food waste. Green staff: offer incentives to employees who incorporate environmentally friendly activities into their daily routines. Celebrate a different staff member each month and share their tips with the rest of the company. Gardening: gaining in popularity, rooftop gardens have proven to not only keep rooftops cooler but also help improve air quality. The garden on your office building can also be an outlet for your team members who have a green thumb. As several of these tips can also save businesses money in operating expenses with significant returns on investments, lets all take this Earth Day to incorporate lasting changes that help sustain the communities we work and live in.